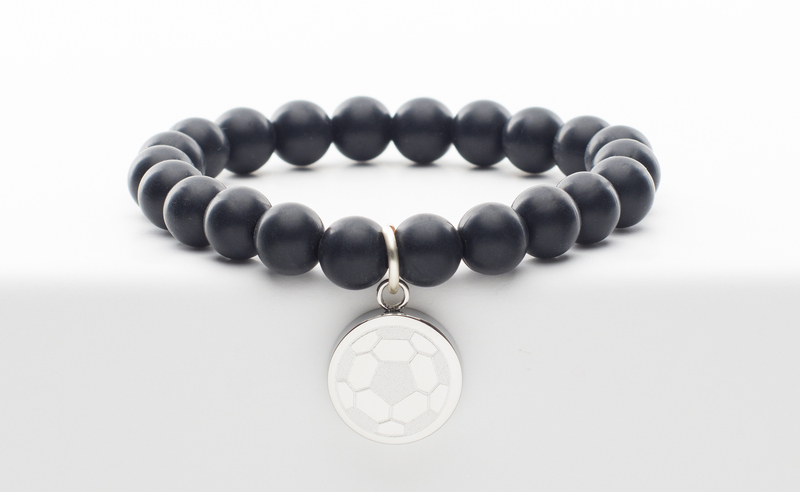 Support your favorite soccer player by wearing this Catherine Cuff. It has black soft silicone beads that will be comfortable all day long. It also includes a silver pendant engraved with a soccer ball. Made with an elasticized band to fit most sized wrists ages 10 thru 110! but can be added at a local Rustic Cuff Store.